Un conjunto especial compuesto por 6 aromas: 1 Faust 9ml, 1 Adler 9ml, 2 Super Rush Black Level 10ml, 2 Rush PWD 9ml. 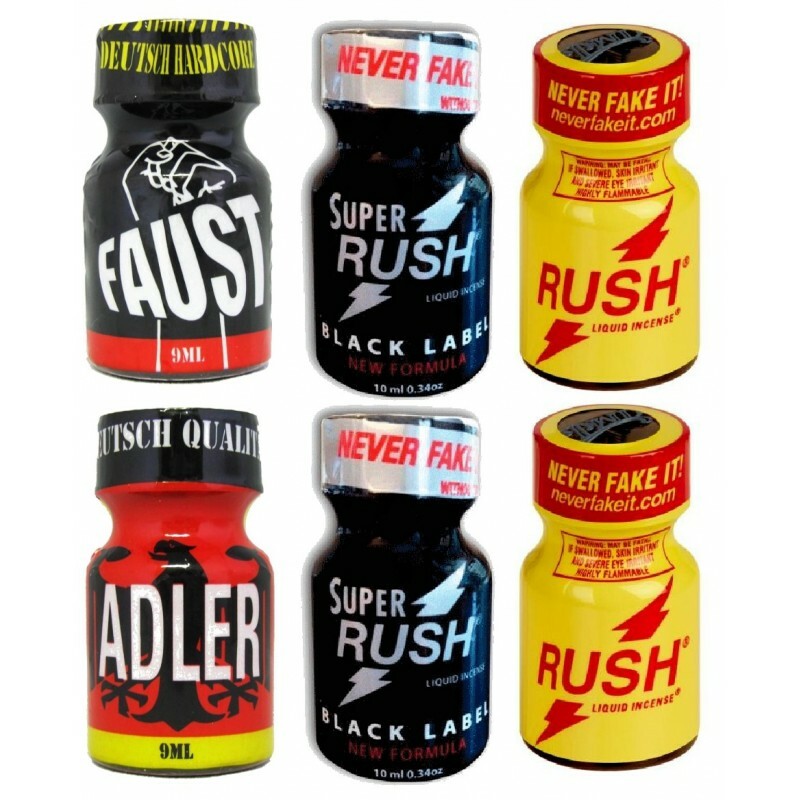 - 2 Super Rush Black Level 10ml. - 2 Rush PWD 9ml.